Central PA Summer 2019 Proposed Schedule – Please contact Bobbi and share what you would like offered this summer. Use yoga postures to learn about your internal organs, where they are, what they do, and how to keep them healthy. Appropriate for anyone; especially beneficial for teachers. 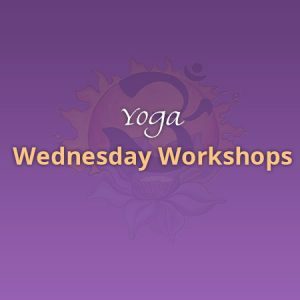 Each week class will begin with a half hour workshop followed by approx. 1 hour practice time. Check out our growing Learn & Thrive section! 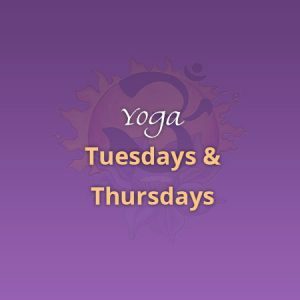 Classes offered Mondays – Thursdays 4-8pm. Register here. Ashtanga Yoga and the phases of a woman’s life; from monthly cycles, to practicing during pregnancy, and finding time and balance to practice during child raising years . . . to what happens beyond as we change again. 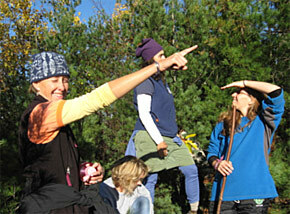 Friday pm Led Primary + Ashtanga yoga for a lifetime, how to navigate your practice for a life long journey. Saturday: Mysore + Ashtanga Yoga and the phases of a woman’s life. Sunday : Mysore + Ayurvedic rise & shine routine for clear body & mind. Mind body medicines and alternative therapies are getting more science and supporting data everyday to their efficacy. You are not longer locked into a pharmaceutical based medical paradigm where many of the side effects are worse than the disease being treated. We will also explore herbs and food as medicine along with essential oils as medicine. Weekend workshop; one day will focus on spreading the second series joy and one day will focus on Ashtanga yoga for woman and ashtanga yoga in the phases of a woman’s life. Times and practice schedule will be posted soon, or contact Julia below. 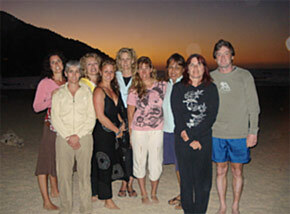 Friday 18:00-20:00 Led primary with Internal Benefits In this led class I explain the organs, nerves, nadis, etc. that are benefitted by each posture, and how we can use this knowledge to practice in a way that increases the internal benefits of each pose. 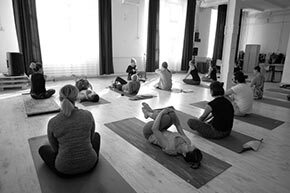 Saturday 14:00-17:00 Ashtanga Yoga Inside Out I.
Sunday 14:00-17:00 Ashtanga Yoga Inside Out II. 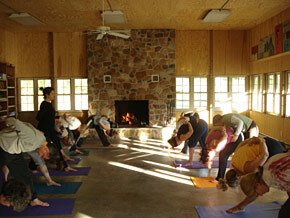 We do not do yoga to get strong and flexible … they are only the side effects of the practice. Learn the postures from the inside out — how the practice works on the more important elements of internally cleansing organs, nerves, improving blood flow and lymph movement, enhancing our endocrine system and creating health from the inside out. Saturday 13 September 14.00-17.00 The Other Side of Primary – Learn what happens after Navasana . . . This workshop will review what comes after navasana (boat pose) in detail and how to stay with your breath; including individualizing each pose for each person who attends. We will also learn about the inversions in the closing series and how to safely start inversions. Includes a led second half of Primary. Sunday 14 September 14.00-17.00 Ashtanga Yoga inside Out. We do not do yoga to get strong and flexible … they are only the side effects of the practice. Learn the postures from the inside out — how the practice works on the more important elements of internally cleansing organs, nerves, improving blood flow and lymph movement, enhancing our endocrine system and creating health from the inside out. Ashtanga Yoga inside Out. We do not do yoga to get strong and flexible … they are only the side effects of the practice. Learn the postures from the inside out — how the practice works on the more important elements of internally cleansing organs, nerves, improving blood flow and lymph movement, enhancing our endocrine system and creating health from the inside out. Workshop includes a led half primary practice. Learn what happens after Navasana . . . This workshop will review what comes after navasana (boat pose) in detail and how to stay with your breath; including individualizing each pose for each person who attends. We will also learn about the inversions in the closing series and how to safely start inversions. Workshop will include some practice. 9 September 6:15pm – 7:45pm Led Primary with Internal Benefits In this led class I explain the organs, nerves, nadis, etc. that are benefitted by each posture, and how we can use this knowledge to practice in a way that increases the internal benefits of each pose. 20 September – Ashtanga Yoga inside Out. 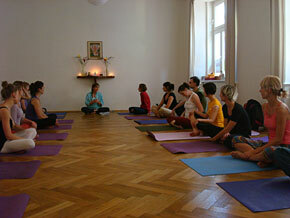 We do not do yoga to get strong and flexible … they are only the side effects of the practice. Learn the postures from the inside out — how the practice works on the more important elements of internally cleansing organs, nerves, improving blood flow and lymph movement, enhancing our endocrine system and creating health from the inside out. 28 September Saturday 9:30AM – Workshop Ashtanga Yoga Inside Out.